The BJP media machine has focused its energies not merely on building up the prime minister but on pulling down anyone who criticises him. Last Monday, journalist Punya Prasun Bajpai’s article, setting out in devastating detail what preceded his ouster from the ABP News television channel on August 2, was published in The Wire. 1. 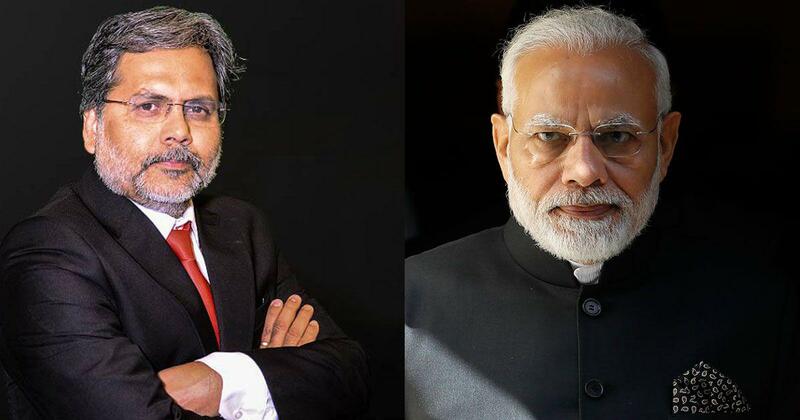 The owner of ABP News, who is also its editor-in-chief, stipulated that Bajpai make no mention of Prime Minister Narendra Modi in any programme that was critical of the government, but Bajpai did. 2. The Union government has 200 staff monitoring and devising strategy on how the media should report on the actions of the prime minister and his government. Directions to the media come from the prime minister’s office. 3. Government spokespersons boycott television stations that fail to fall in line and the prime minister and cabinet refuse invitations to their corporate events, such as revenue-generating “summits”. 4. The government uses friendly businesses to stop advertising on television channels that do not fall in line, hitting where it hurts the owner the most – the bottom line. The article circulated on Twitter and other social networks. But it was blanked out entirely by national news channels (including those that had reported on the exit of Bajpai and his colleague Milind Khandekar the day before) and national newspapers. Their silence is a measure of the success of the Modi government in controlling the media’s agenda. 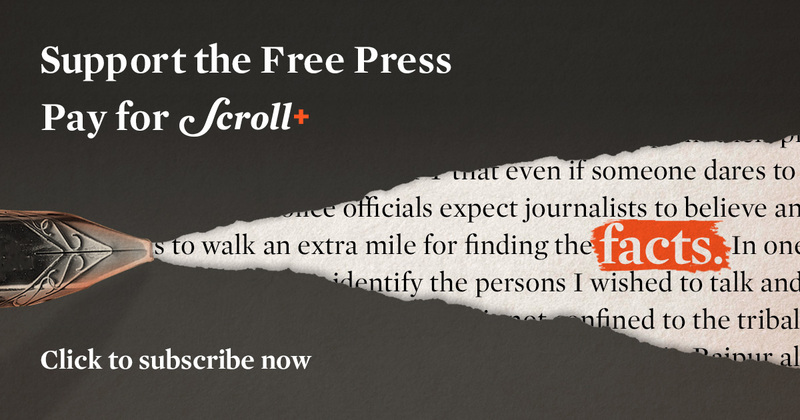 It is a mark of the limits of freedom that deal-making media businesses place on their newspapers and television stations, journalists and editors. This together is also a reasonable explanation for India’s low and falling press freedom rating. Over the past four years, the displeasure of the Modi government is thought to have been the reason for other high-profile exits. In September, Bobby Ghosh resigned as editor of Hindustan Times, the newspaper owned by the family that played host to MK Gandhi and on the grounds of whose home he had been murdered by a fanatic with links to the Rashtriya Swayamsevak Sangh and the Hindu Mahasabha. Among the reasons Ghosh had to go, it is reported, was that the government was irked by Hindustan Times’ “Hate Tracker”, an online feature that listed reports of hate crimes across India. Since Modi came to power in 2014, there has been a significant number of hate crimes – in large part, targeted attacks on Muslims and Dalits by cow vigilantes. Modi has said very little about such violence. His cabinet colleagues and party legislators have defended murders by cow vigilantes and he has failed to check them. The Union government has at other times said “law and order” is a state subject and the Centre has no role to play in these incidents of violence. The majority of reported cases have been in states ruled by the Bharatiya Janata Party. But media commentary linking Modi’s silence to the regular incidents of hate crimes is exactly the sort of thing that riles him. Modi would describe such commentary as an “allegation”, not “criticism”, which he has recently begun to say is necessary for a democratic government. It is, however, a fact and not a mere allegation that Modi has failed to use the powers of his high office or his considerable oratorical skills to unequivocally condemn lynchings and other vigilante violence. It was only last year, and then invoking Gandhi (who is despised by the Rashtriya Swayamsevak Sangh), that he said killing in the name of cow protection is not acceptable. Modi’s disavowal is somewhat unconvincing, also because he has himself artfully used the cow protection theme in election campaigns (even after he became prime minister) and made common cause with those who vilify people who eat beef, who are the targets of cow vigilantes. The Hindustan Times Hate Tracker did not mention Modi but it shone a light on the violence unleashed by his victory. It was a real-time record of the lawlessness in the country and the BJP government’s unwilling act against Hindutva vigilante armies. After Ghosh’s exit, the Hate Tracker vanished from the newspaper’s site. 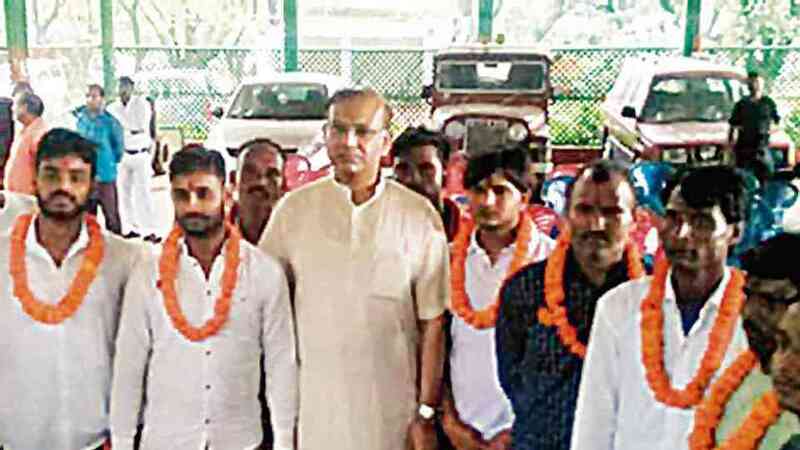 In July, Union minister of state for Civil Aviation Jayant Sinha garlanded seven convicted cow vigilantes when they were released on bail. It was not just pressure of this sort that Bajpai described. His article also talked about the Information and Broadcasting Ministry’s electronic media monitoring cell, with 200 staff members. The cell was set up by a previous government ostensibly to monitor broadcasting standards. Now its primary job is to monitor the media and influence the news narrative about Modi and his government in real time, Bajpai wrote. Officials in the prime minister’s office use the information put together by the cell to lean on newspaper editors or owners. In general, government officials are not inclined to use a bludgeon against the media. They have the unenviable task of fulfilling the demands of their political bosses while upholding the law of the land. Even those personally loyal to the prime minister would be conscious of the limits within which they work. Instead of threats, they are more likely to offer “friendly advice”. It is a classic civil servant-style fix for what they see as a knotty problem. They have to balance the prime minister’s sensitivity about public or media criticism and maintain the fiction that what he wants done does not amount to a denial of constitutional freedoms. Accepting the friendly advice would be, from their perspective, a form of accommodation. As Bajpai pointed out, even if an editor were inclined to be accommodative, it would be, for example, near-impossible not to mention Modi in reports about the government’s programmes. This is because Prime Minister Narendra Modi is the unrivalled face of the BJP and the Union government. He has taken personal ownership of every policy pronouncement and scheme. After becoming prime minister, he has even campaigned for state elections, asking voters to cast their vote for him. Modi and the clutch of people around him have willed these circumstances into being with not a little help from the media. The trouble with the concept of a singular leader is that, except in a totalitarian state where the media is the public relations department of the government, this leader receives all the accolades as well as all the criticism for the actions of the government. Modi likes the accolades, not the criticism. When a journalist persists in ignoring advice to withhold criticism or to avoid associating Modi’s name with stories of disappointment with his government, the heat is turned on – a boycott of the channel or refusal to grant interviews by party spokespersons, the withdrawal of advertising and threats to undermine revenue-generating events. Few media companies back their journalists when their bottom line is affected. Bajpai wrote that his programme improved his channel’s ratings, something his employer had acknowledged. But when ratings are not the only thing that determines revenue, the best employers seem to buckle. 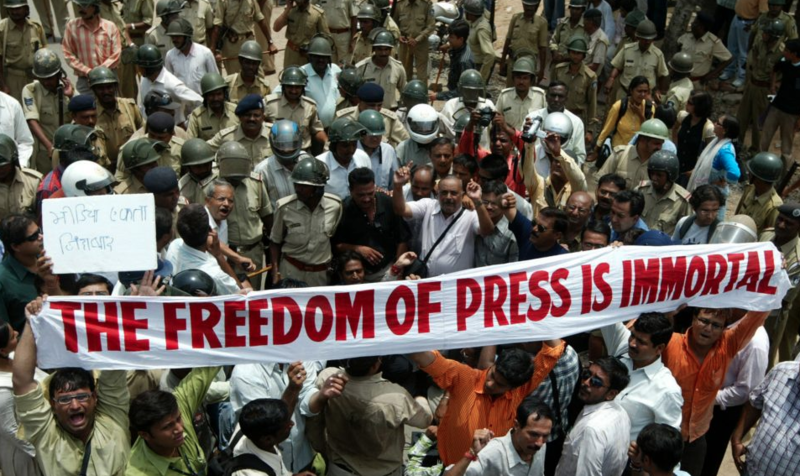 Most media owners in India, who may band together to lobby for fiscal and other concessions rarely, if ever, band together to defend their journalists’ right to report freely. This makes it easier to turn the screws on them. Compounding the situation is the systematic manner in which the BJP has gone about trying to discredit the professional media. The party media machine has focused its energies not merely on building up Narendra Modi but on pulling down anyone who criticises him. Anyone who criticises him is an anti-national. An ecosystem of Photoshopped pictures, morphed videos, a WhatsApp rumour mill, online trolls and fake news websites has sustained this campaign over five years. It has injected a vast quantity of venom into Indian society and fed a distrust of the professional media by trying to erase the distinction between what is fake news and what is not. Earlier this year, the Information and Broadcasting Ministry took steps that signalled a government plan to officially legitimise this confusion and distrust. The ministry issued an order stating that print and television journalists found guilty of publishing fake news would lose their accreditation – the government security clearance that gives journalists access to government offices and most importantly to Parliament. The massive fake news ecosystem has no need for government accreditation because it is not actually in the business of reporting news, so the move was clearly aimed at professional journalists. The order was hastily withdrawn following a media outcry. It was impossible to put a positive spin on what was really just an open threat to the media. The prime minister’s office quickly distanced itself from it, saying the ministry had acted alone. Despite the arm-twisting, which has led to journalists being fired or resigning, reporting initiatives being shut down and increasing amounts of self-censorship, it is still almost impossible to control the media in its entirety. That would take declaring an emergency or capturing all the institutions of state. This is something the Modi regime is keenly aware of as is clear by its constant search for methods by which it can circumvent the media. Not long after the order about accreditation, Scroll.in and other news outlets reported that the government intended to hire “social media monitors” for all districts in the country and create a “media monitoring hub”. An important component of this strategy was the plan to develop a “social media analytical tool” that would scan all social media platforms, private emails, local, regional and international media with the goal of sending personalised responses to neutralise “negative sentiment” and promote positive news about the government. Following the news reports, a petition was filed in the Supreme Court challenging this plan. At the first hearing, the government told the court it had “withdrawn the policy”. This cat-and-mouse game between the media and Modi will only get more fierce as election 2019 approaches. In 2014, Modi benefitted from large sections of the media openly batting for him. Why they unquestioningly accepted his promotion material – for example the now-discounted Gujarat model – is something no one has studied as yet. Certainly, journalists critical of him at the time were under enormous pressure, signalling what was to come. Professional journalists remain the best bulwark against creeping government control of the media. It was journalists’ reports that stalled the government’s plans to manipulate the media using the accreditation system and through its Orwellian social media monitoring hub. What Bajpai’s experience at ABP News Network also showed is that channel TRPs can go up without government and ruling party spokesmen and for a programme that challenges government propaganda. While the government can successfully arm-twist a traditional media owner into firing an editor and shutting down its hate crime tracker, the new digital media now quickly fills that space with its own version of a hate crime tracker.